A recent search on the Google search engine has brought an exciting discovery to The African File. In a recent report by IDASA, the Insititute for Democracy in Africa, their work noted The African File’s Impact of Economic and Political Sanctions on Apartheid as a source in the footer. Despite the 4300 hits that article has received in just over two years, this is the first time it has been mentioned in a scholarly/professional article. 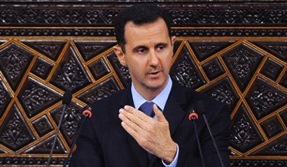 sanctions are believed to have brought the South African National Party to near bankruptcy and encouraged it to negotiate. 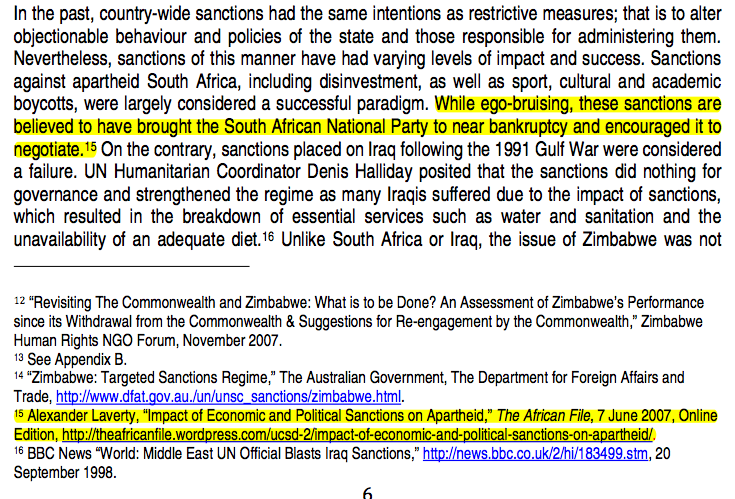 Thankfully, IDASA did not make the case that economic sanctions alone brought the National Party to the bargaining table, and even included a mention for sport, which I made the case for in Sports Diplomacy and Apartheid South Africa. The full report can be read here and the pdf can be seen here.